Every time I visit New York City, I may as well be visiting another country. It’s so far removed from the farm town I call home. It’s hard to imagine what childhood might be like here, navigating crowds and a concrete jungle. Though neither would a New Yorker youth imagine what it’s like to live a simpler life. Like packing peanut butter sandwiches in your saddle bag, grabbing the reins and mounting your horse, and riding with your siblings through wide open plains in a cornfield jungle. Manhattan has an energy and frenzy that many love and others thrive in. For me, it’s something to savor in small doses. You see, my hometown county has 72 people per square mile. Manhattan? 69,464 people per square mile. As you can imagine, stepping off the plane at La Guardia is like taking a polar bear plunge in sensory overload. I can manage on my own in Manhattan surprisingly well with a different kind of horsepower, delivered by yellow cabs, subways, and trains leaving from Grand Central Terminal and Penn Station. But among the plethora of people, cultural discoveries, new perspectives and soaring skyscrapers, there are still simple things. You just have to slow down to notice them. 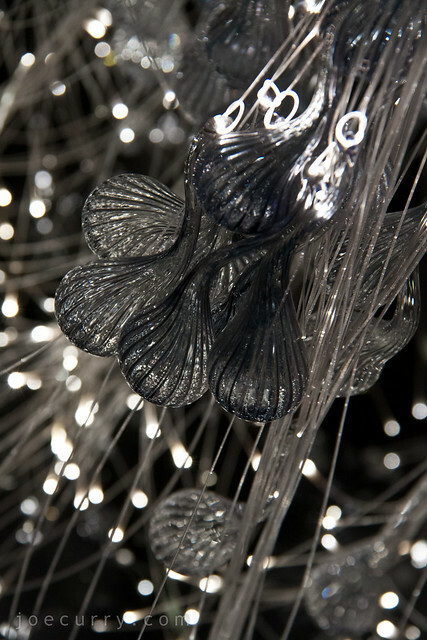 For example, at the Trump Hotel Soho, I wonder how many people have really noticed the glass and fiber optics fig tree. If you slow down and savor, you realize even the most complex (and chaotic) cities are made from the same, simple things. But luckily, I have the horse sense to realize the pulse and pace of life in Manhattan is not for me.